Our fun and dynamic extra curricular Astro-Clubs are carefully designed to inspire every student. Each course has different themed lessons, which are age appropriate and enable students to focus on a concept and then experience a practical hands on activity. Sessions will involve a visit into Discovery Dome’s mobile planetarium. 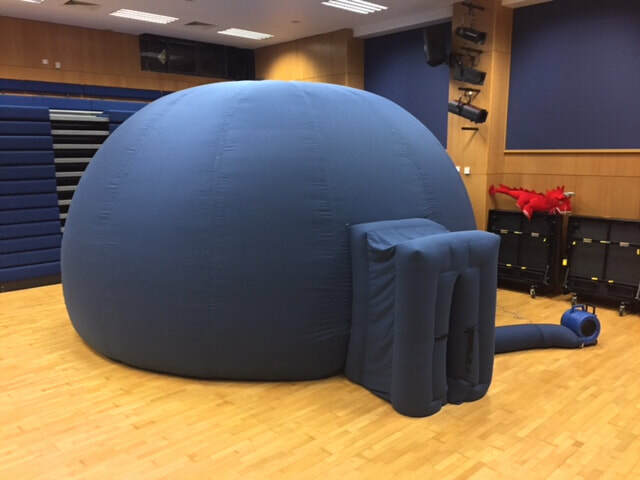 Children get to watch an immersive 360° digital show, ask questions and our aim is to nurture inquisitiveness and help your child gain a solid understanding of their place in space and time. Enrolment is through the ECA sign up at your child's school. We have two clubs a week at Kellett School, an in January we will be at Bradbury School. We are always looking to take our amazing club into another school in Hong Kong as we think its too good to miss. Please do contact us if you are interested in a club being run in your school. 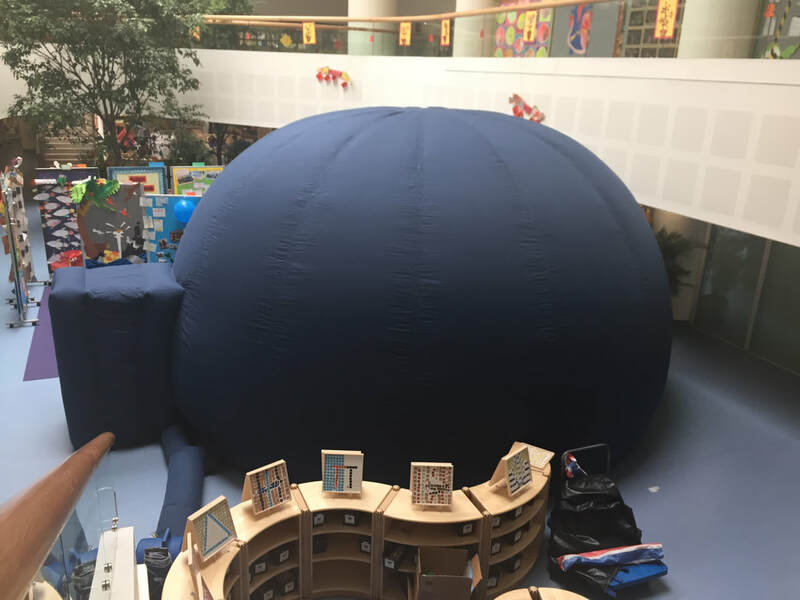 We have visited many schools in Hong Kong during our six years of operation and we estimate over 10,000 students have experienced Discovery Dome. We have visited both local and international schools and colleges in Hong Kong. Our aim is to make learning about space science interesting and fun! Specialist projectors are used to create 360 degree, hemispherical images of the night sky. The experience is further enhanced by film, music and large, hi- resolution images. The school trip comes to you without any of the hassle of taking students off site. The length of our shows can be adjusted to fit conveniently into normal lesson times, so there is no need to take pupils off-timetable. The dome is great for pupils with special educational needs and also has easy access for children in wheelchairs. Our booking terms and conditions are outlined here. Do you have a corporate family fun day for your company to organise? Do you have a school fair that needs something exciting for children? ​Discovery Dome is extremely versatile and can help you create something a bit different. Call us for a chat about your requirements. ​Our booking terms and conditions are outlined here.